Without windows your home would not have natural light, a source of fresh air, or a great decorating opportunity. Like other parts of you home, windows can have problems. The tips in this section can help you fix problems that can occur with your windows and keep them looking great. From fixing a broken window to replacing screens to installing window treatments, you'll find what you need here to make the most of the windows in your home. The following articles are available for the 'Windows' topic. Click the article''s title (shown in bold) to see the associated article. Windows do more than simply make your home look pretty. In fact it could easily be said that choosing the right window can be one of the most important choices a home owner makes. Here are some guidelines that help out line the basics of choosing windows. For many home owners, bay windows are an item that can help make or break their decision to purchase a home. The question though, is what can you do to decorate the bay window properly when you have it. Unfortunately, bay window window treatments is something that can drive just about everybody crazy. Learn what to do here. A broken window is a serious problem, which can be an extremely costly one. Here is how you can replace your own window and save the money for other things, like a date. Window treatments are both decorative and functional. When choosing treatments for your French doors, remember that you will need to find particular kinds of blinds and curtains for your setup. Hanging blinds can often be a frustrating experience, but it doesn't have to be. There are actually several methods a person can use to make sure that their blinds are properly installed without damaging any of their walls. Hanging drapery is not as difficult of a task as many people would believe. Here is a simple step by step checklist for how you can have the best looking windows you have ever had. New blinds can pose exciting new possibilities for the aesthetic appeal of a room. Learning to properly hang new blinds will aid you in creating a polished, professional look. Whether you are looking to do some repair glazing work, or you are looking to create a unique window you will eventually need to do a little bit of glass cutting. It can be rather simple work to accomplish as long as you have the proper tools and the instructions to follow. Are you interested in creating a truly unique window, mirror, or other glass item for your home? If so you may want to consider learning how to etch glass. Not only is it easy, but when done right it can also be fun. Just make sure that you follow these directions. Window treatments can add a lot of personality to a room. Consider your needs when deciding which type is best for your home. Have you ever noticed how no one really thinks about storm windows until after the storm has come and gone? Installing a storm window is an incredibly easy task, and only will take about an hour of your time to complete. Simply follow these instructions, and you will have a brand new storm window installed. One of the more common places that a home can loose heating and end up with higher energy bills is in the windows. The best way to keep that from happening is by installing energy efficient windows. Decide upon the type of new window you want after taking measurements. You can order windows from a lumberyard or a reputable home improvement store. Take the measurements with you when speaking with a qualified window professional, and together you can find the right window with the precise measurements that you need. Storm windows are a great type of window to have in your home, for a variety of reasons. However, if you aren't taking care of them you can easily run into some problems. Maintaining storm windows isn't all that difficult, but really only requires a little bit of dedication. Does your wall look a little bare, and you would like to spruce it up a bit? Why not bring the great outdoors inside, by installing a new window? In order to install a new window though, you will need to first make an opening for the window to go into. Making a window opening isn't that difficult to do, as long as you follow these simple directions. Is there really anything more frustrating around the home than to have a window that you just cannot get open? 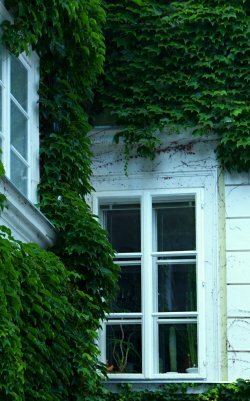 Well opening a stuck window is probably the easiest of all the home repair jobs a person can undertake, and knowing how to open these stubborn windows can make you a hero around the home during the summer months. Painting near windows can be tricky if you haven't done it before. That being said, there are a few steps that you can take that can make the job a whole lot easier. All you need to do is follow these guidelines and you should have no problem. Perhaps one of the trickiest aspects of painting your home is painting windows. The reason for this is that it often requires some rather delicate painting. Delicate does not mean impossible though. Here's how you can begin painting windows yourself. Window treatments are an important part of decorating and are functional at the same time. Choosing panel window treatments allows you to get a classy look in a room and they easily allow you to adjust lighting. If you've only a few specks of paint to remove from a windowpane, try a fine grade steel wool first, before using a razor blade. Always remember to keep the glass wet as your removing paint, else you may etch the surface of the glass. Plexiglas can become scratched or damaged over time. Instead of removing and replacing the damaged portions of the Plexiglas, try to repair the damaged plastic. Doing that is going to save some money in the future. Shellac is one of the most popular forms of wood stains and varnish currently available. Since it is such a popular choice among the home improvement enthusiasts, and hobbyists around the world, it only makes since that once in a while, this material will eventually wind up causing stains to appear in some of the weirdest places, such as your windows. Keep reading if you would like to learn the secrets to removing shellac stains from windows. Window tinting, either on a car window or home window, can be a wonderful touch. At least it can be until the tint begins to peel away. Before you can actually begin repairing the damage, you need to first remove the damaged sections. Plexiglas (or plexiglass as it is often misspelled) can be found just about everywhere. From the windows out in the greenhouse, to the windshields and lenses on an automobile, Plexiglas is used. What can someone do though when this versatile product becomes damaged? Repairing Plexiglas is surprisingly easy, simply read on to find out how. Window screens allow you the pleasure of fresh air through open windows, and alleviate the worry of bugs finding a way inside. If you have holes, rips, or tears in your window screens, then they will not protect your home from bugs. Repairing window screens is one of the easiest chores to complete. Follow these guidelines to keep your window screens in good repair. Whether you're replacing a small windowpane, or a sliding glass door pane, the premise for replacing a window is the same. Make sure that you have all of the tools you'll need before you begin, as well as glass that is cut to the correct size. If you're working with a large window or a window on a second story, have someone help you. Do you happen to have a set of old windows in your home that you particularly love? Well instead of replacing them when they get too old, why not look into restoring them? Restoring old windows is possible, though you often have to be careful as you do the work. When talking about window security, many people think about security or alarm systems instead of thinking about things that are a little less high-tech. Rather window security is something more basic, the actual locks that help keep the window closed, or prevent them from opening too far. Here is a little more information about some of the more common kinds of window security that is currently available. Window treatments are quite often overlooked portion of interior decorating. That is, until a window treatment is chosen that just does not work with the rest of the room. Here are some simple guidelines to help you choose the perfect window treatments for whatever room you are decorating.